GACHIP is a program of the Grand Lodge of Georgia and proudly sponsored by the lodges and their members. Visit the Georgia Freemasons online at http://www.glofga.org. All GACHIP Events are requested through and coordinated by the Georgia Freemasons (online - Event Request). We conduct events anywhere across our state when both the equipment and volunteers can be committed. 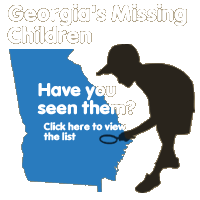 We are actively seeking donations, contributions, and contributing partners to assist us to bring this important community service to every family in Georgia at no cost to parents. We are a 501(c)(3) non-profit organization, so all donations made to us are tax deductible. If you would like to donate, make checks payable to 'Georgia Masonic Charities Foundation, Inc.' Be sure to add "GACHIP" to the 'For' line on the bottom left side of the check. For more information on how you can join our team or learn more, visit our Contact Us page.